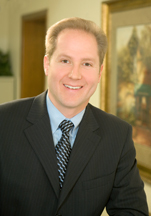 An experienced Arizona attorney will personally handle your case! Our Primary Focus Is On Obtaining The Best Results For Your Case, Whilst Providing You With Exemplary Personalized Service! Contact us today, we can help you or your loved one! The Attorneys of MyArizonaDefenseLawyer.com defend clients in criminal courts across Arizona. Fighting criminal charges is all we do. Charges defended include DUI, drug possession, assault, shoplifting, criminal driving charges including driving of a suspended license, and much more. Felony charges may require and experienced criminal defense strategy to keep you out of jail. Misdemeanor charges may also involve jail time, and fines. Any Arizona criminal conviction will result in a permanent public criminal record, available to anyone doing a background search. This information becomes more accessible each year, and can result in significant hardships and lost career opportunities. The best way to stop this from happening is to fight the charges when they happen. Please contact us for a criminal defense legal case evaluation for any Arizona offense or criminal charge. An experienced attorney will personally handle your case! Our Primary Focus Is On Obtaining The Best Results For Your Case, Whilst Providing You With Exemplary Personalized Service!!! Call us today, we can help you or your loved one!! !